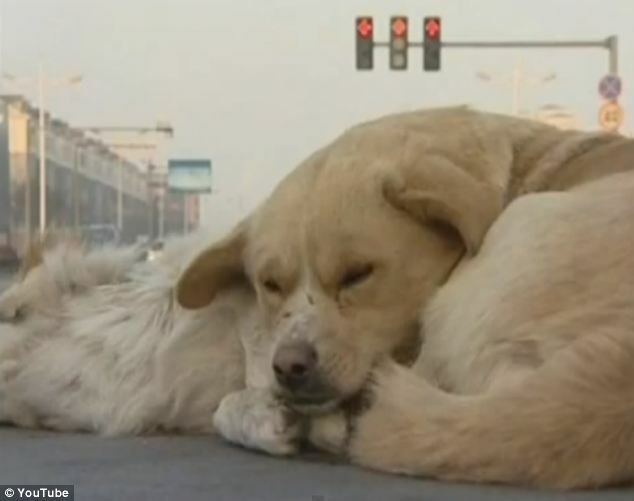 A loyal dog watched over his dead four-legged friend overnight in sub-zero temperatures after the other dog was run over by a car. 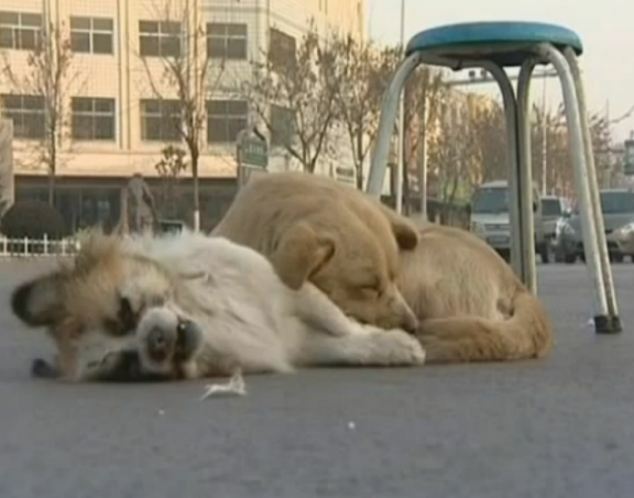 The small white dog was killed in the middle of a busy street in the city of Yinchuan in north west China’s Ningxia Hui Autonomous Region, when he was hit by an unknown car. 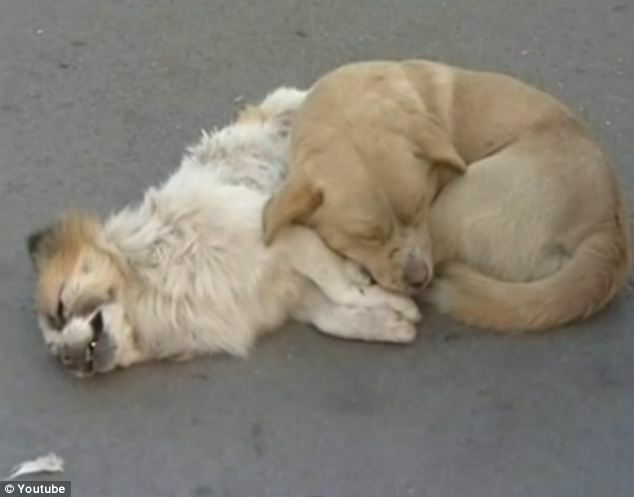 Despite temperatures dropping to a chilly -13C another sandy-coloured dog stayed by the animal’s side overnight, guarding the body as it lay in the road. Passersby took photographs of the touching gesture, with images and video footage of the dog quickly going viral on the internet. 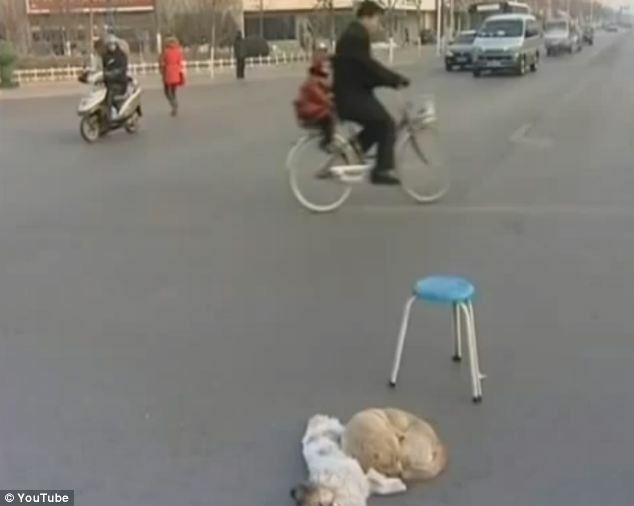 Other people placed a stool near to the two dogs so that they would not be struck by other passing vehicles. ‘The drivers must be careful and not hit them’, one onlooker told ITV. 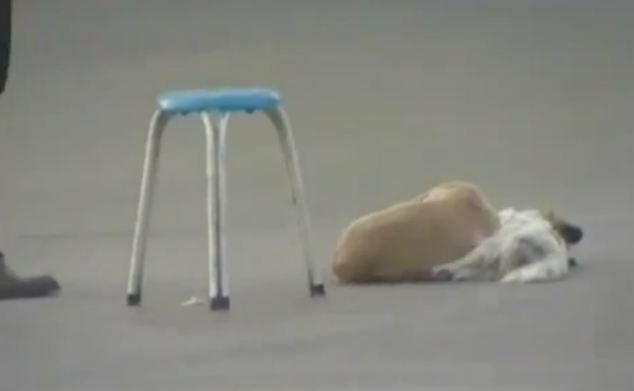 Eventually restaurant workers removed the dead dog’s body, and buried it under a tree in a nearby park. They were followed along the route by the other dog, who stayed with the workers until his friend had been buried.